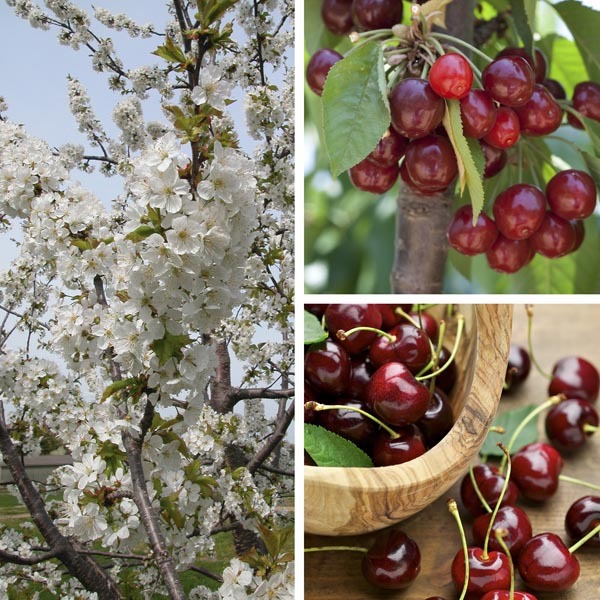 A flush of blooms heralding spring, followed by tasty fruits celebrating summer, make cherry trees more than worthy of a place in your landscape. Bright autumn foliage and attractive bark assure a changing and beautiful display year 'round. Produces fruit that is sweet and juicy. Produces fresh fruit for a delicious and nutritious snack. Delicious in pies, tarts, jams, and preserves. Best used for large scale plantings. When planting, keep the base of the trunk exposed. Best in fertile, well-drained soil. Water regularly until established. Prune when dormant, in late autumn or late winter.